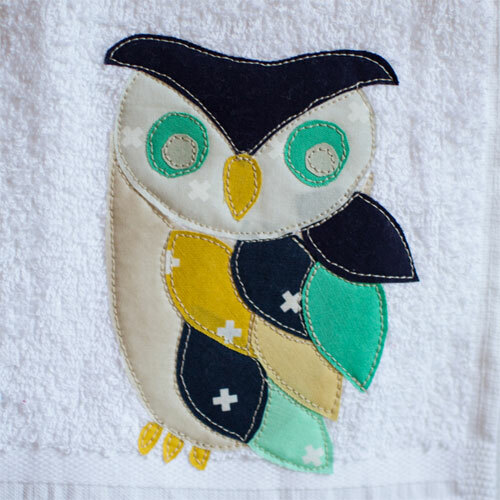 This morning I came across this wonderful applique pattern to make your own owl towels (or to be used for any other kind of your crafty project). 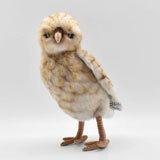 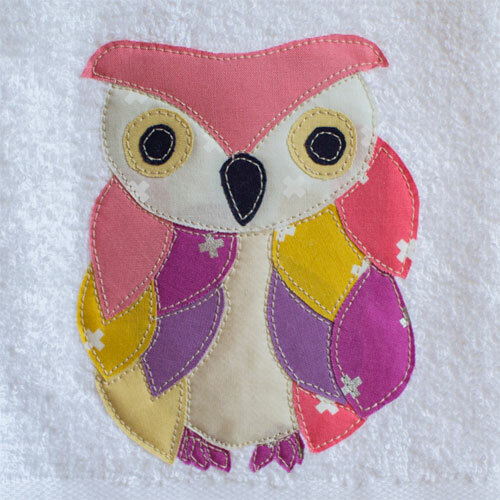 This free applique pattern comes in two sizes - one to make 6'' tall owl and a larger 8 1/2'' size owl. 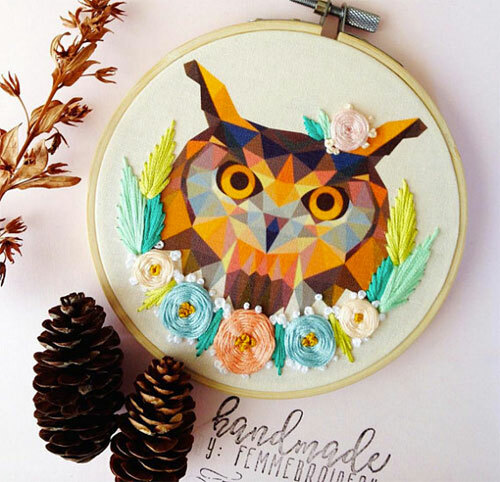 The best part about the applique is that you can use the same pattern to make two different owls - side facing and front facing. 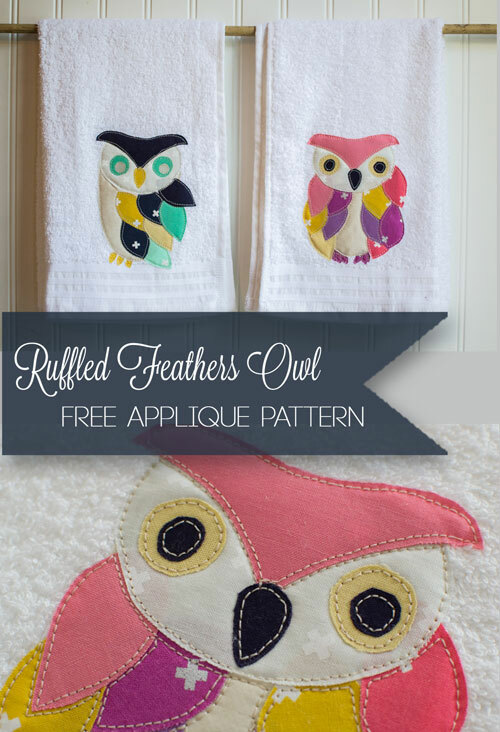 When I saw this diy, I thought the owl appliqued towels will also be perfect as a Valentine's gift to your mother, sister or a friend. 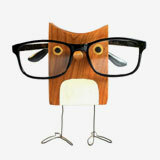 The instructions are pretty simple to follow, find them here. 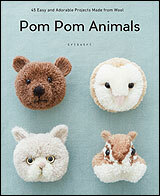 Nancy Polanco is the author of the blog called Whispered Inspirations and a mother of two girls. 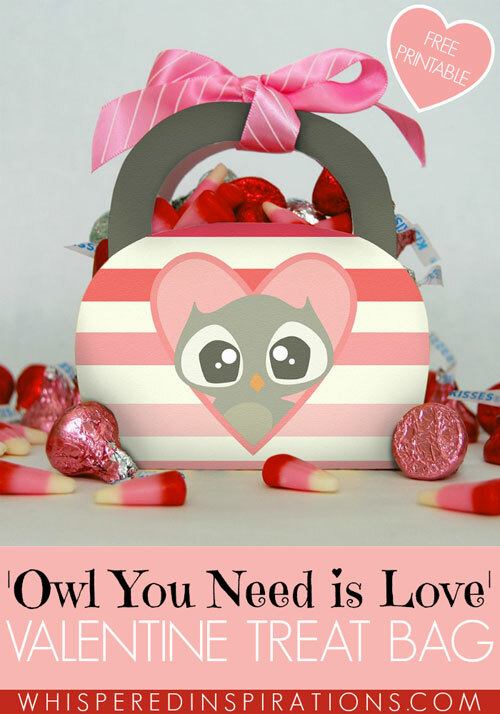 She designed the templates for the lovely treat bags to send to her daughters' school to make it a special day for them. 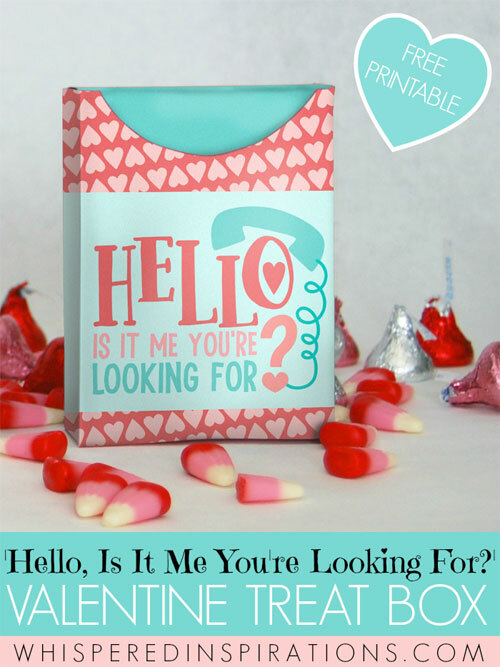 She generously shared the treat bags' template on her blog that can be downloaded and printed to make your own goodie bags. 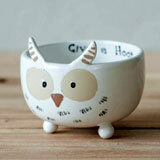 So, go ahead get them ready now and fill them with candy, pencil or erasers. 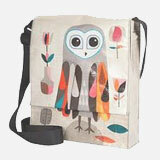 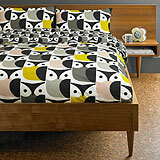 You can find the templates in two designs - "Owl you need is Love" and "Hello, is it me you're looking for?". 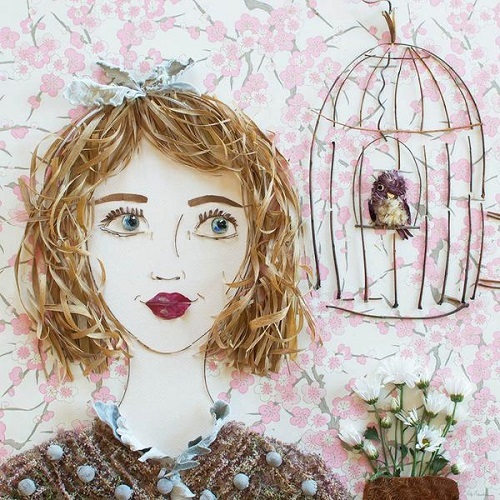 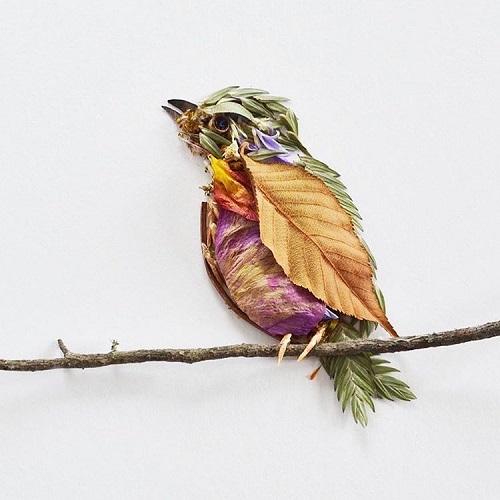 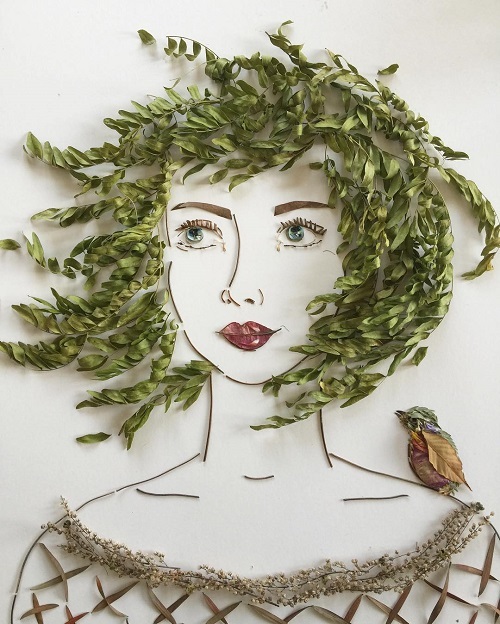 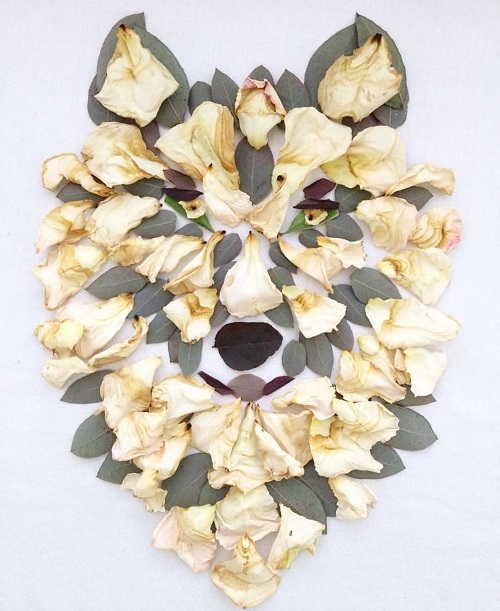 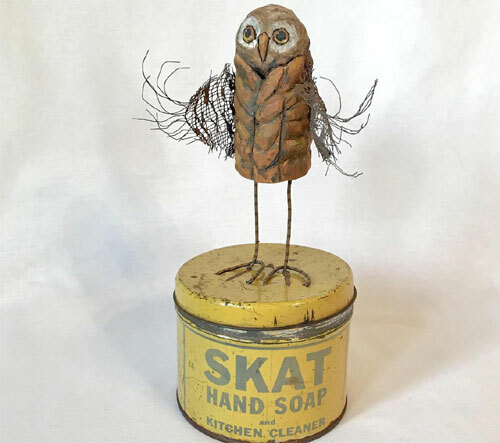 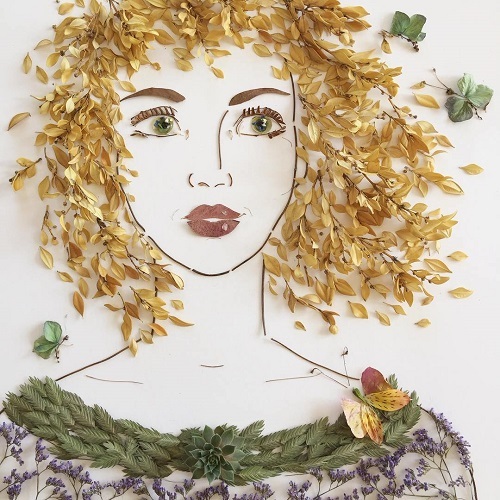 Curated by Sister Golden (update), Justina Blakeney's ongoing project 'Face the Foliage' is a series of portraits of women and animals made out of dried leaves, succulents and flowers. 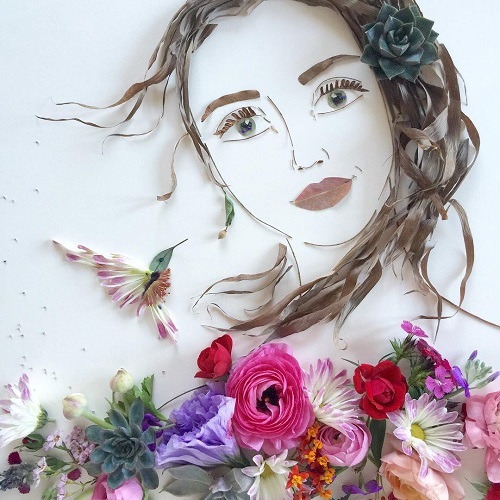 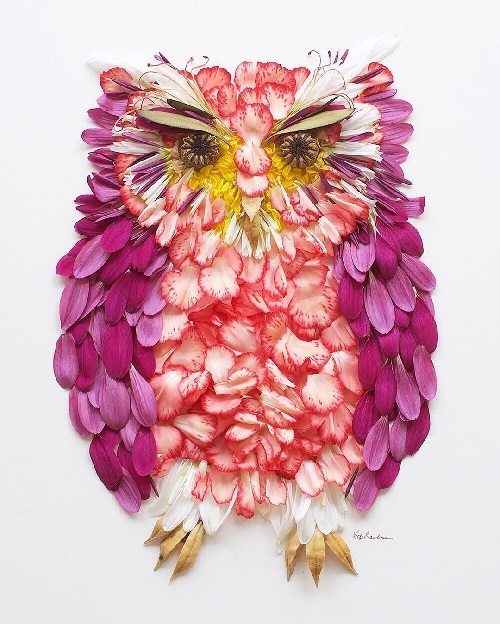 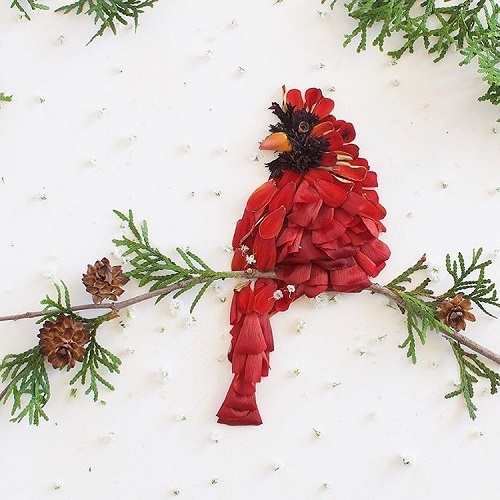 I seriously recommend spending sometime browsing her Instagram account where she has many more floral art that're sure to bring more color in your day. 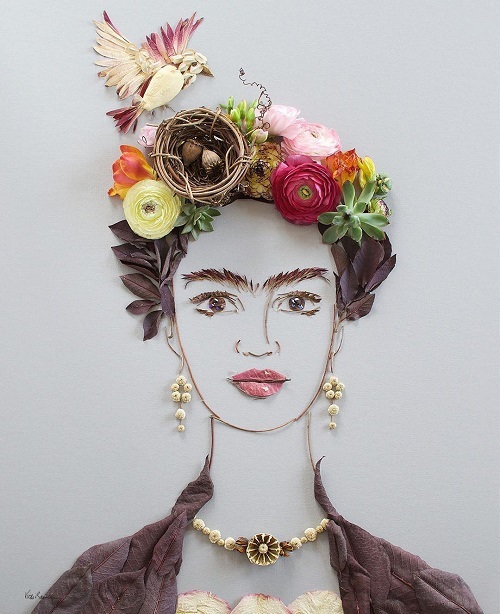 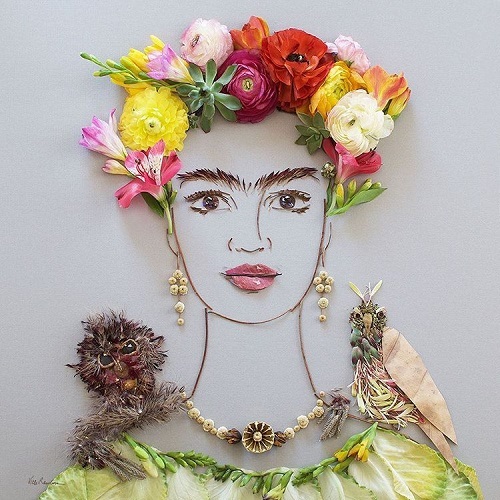 I love her piece featuring Frida Kahlo. 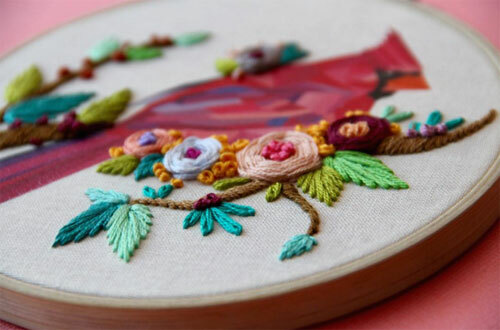 Maria Arseniuk is an embroider from Calgary, Canada. 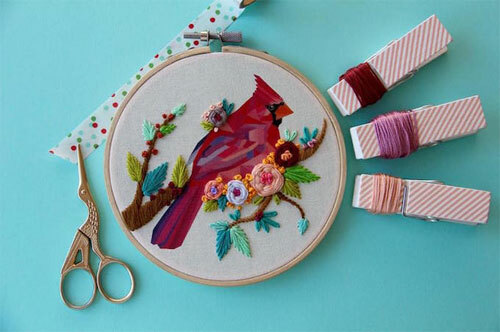 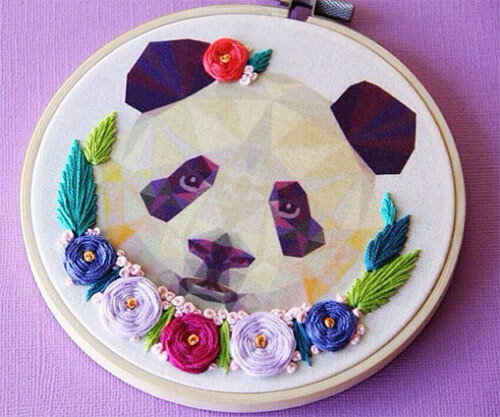 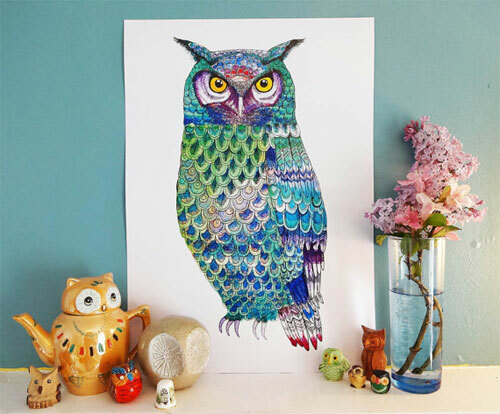 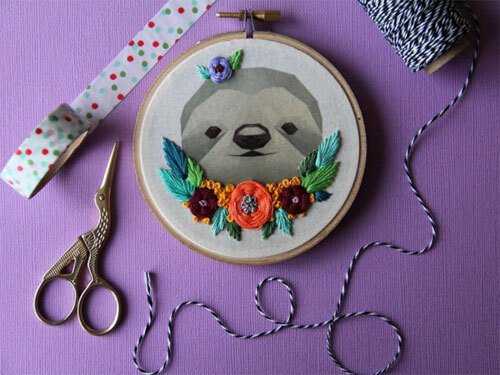 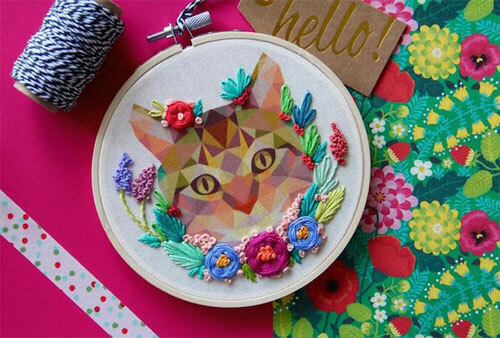 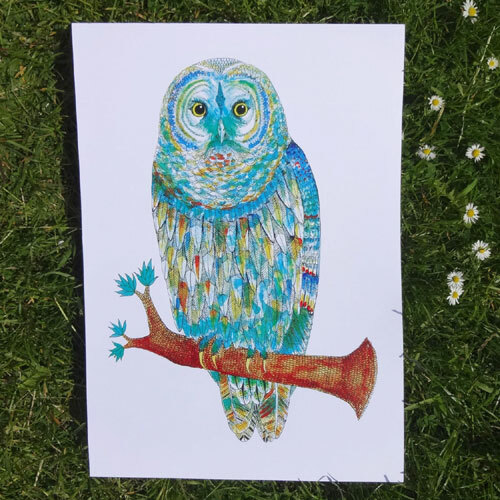 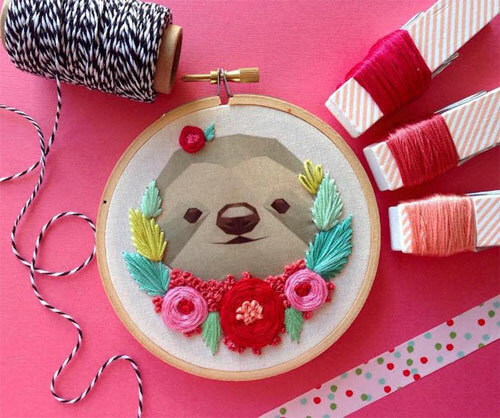 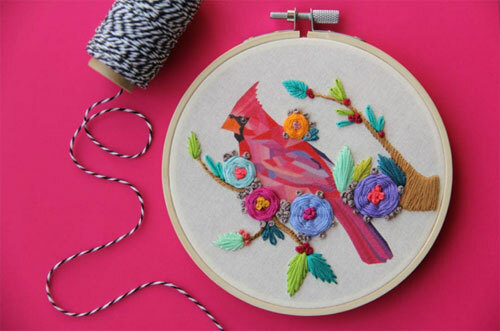 She creates these stunning hoop art which combines traditional embroidery style with a modern twist; she heat transfers the animal designs onto fabric and decorates them with colorful floss. 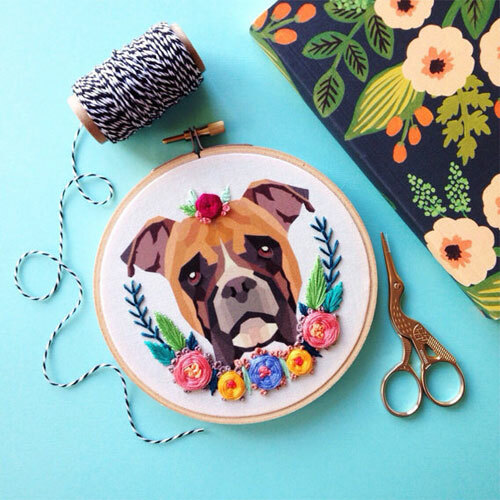 You can find Maria's work on her online store Femmebroidery. 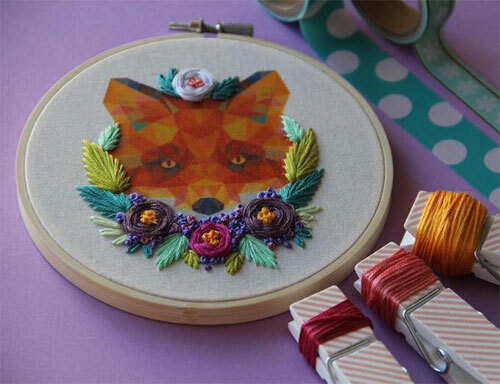 Her work is cheerful, a unique combination of 2D geometric animals and hand stitched embroidery. 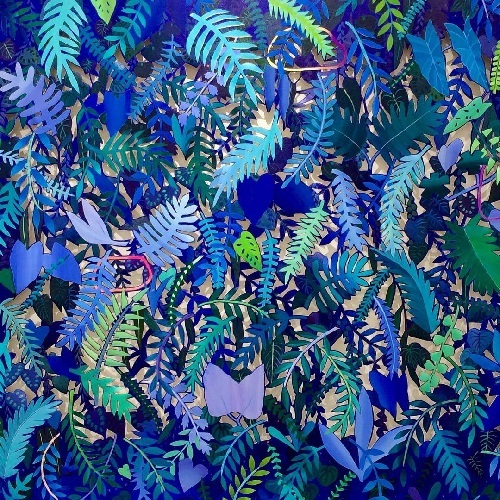 Artist Celan Bouillet was born as a child of a builder, she watched materials being used together to form dozens of homes. 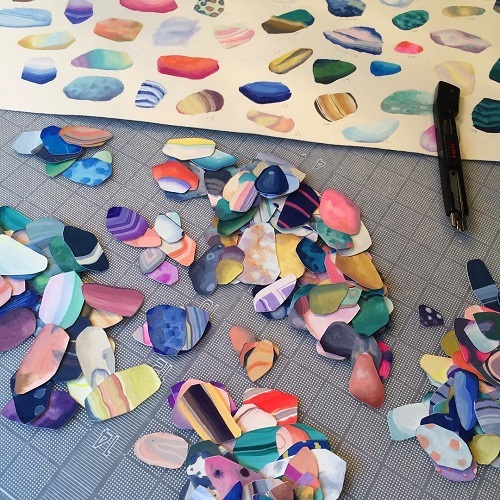 This early exposure in her life to the building process continues to be a source of inspiration in her work which is like an huge ocean of fine, little details. 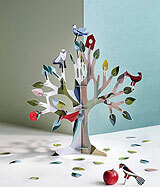 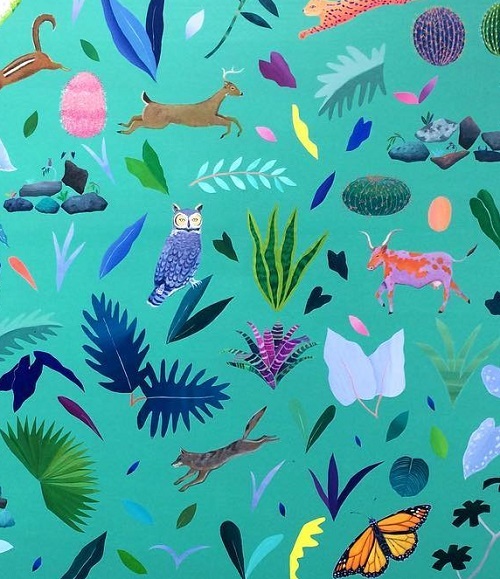 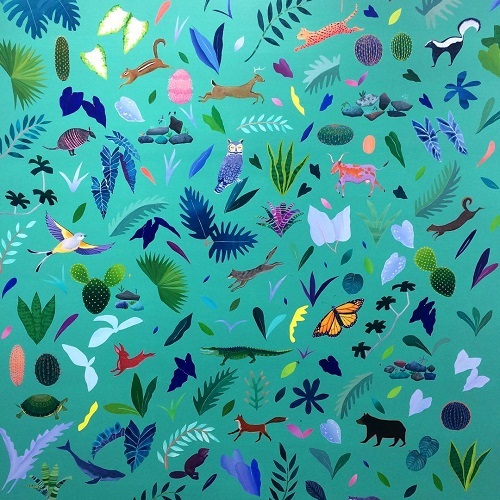 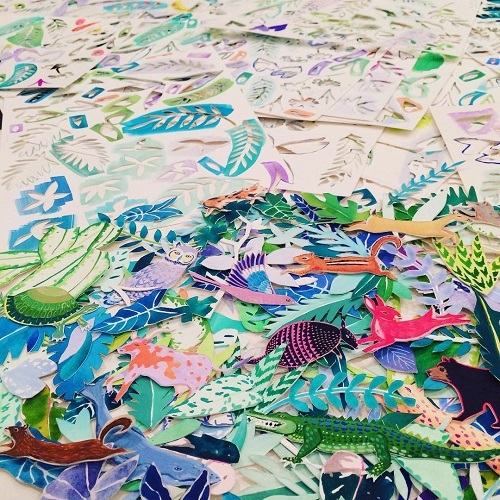 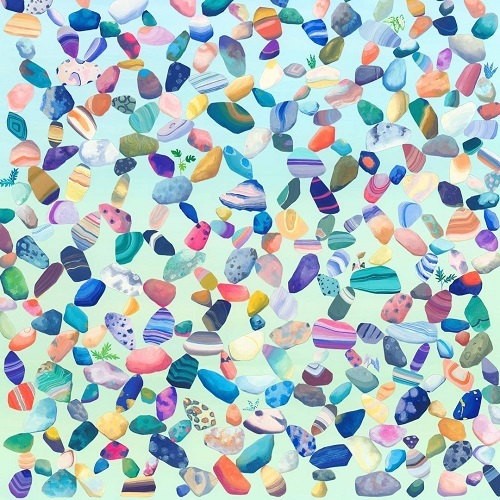 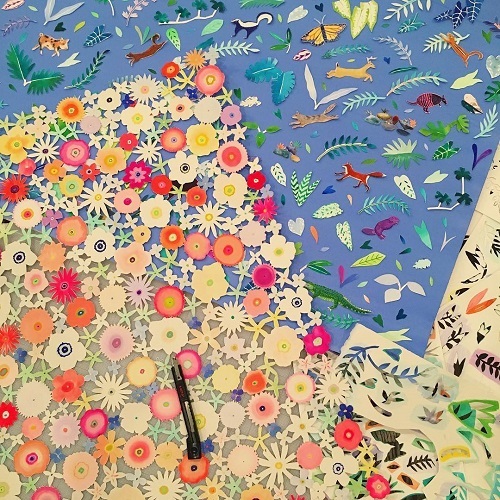 Her pieces that she named "Rock Garden", "Bird Watching", "Fern House" and "Texas Tapestry" are composed of hundreds of hand-cut animals, plants and people who together make colorful worlds that one would like to visit. 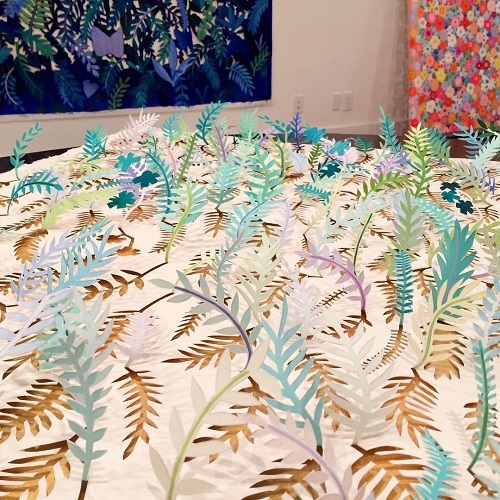 Every little thing in her pieces are painted gouache on paper, hand-cut out and then placed on a background to form a complex narratives. 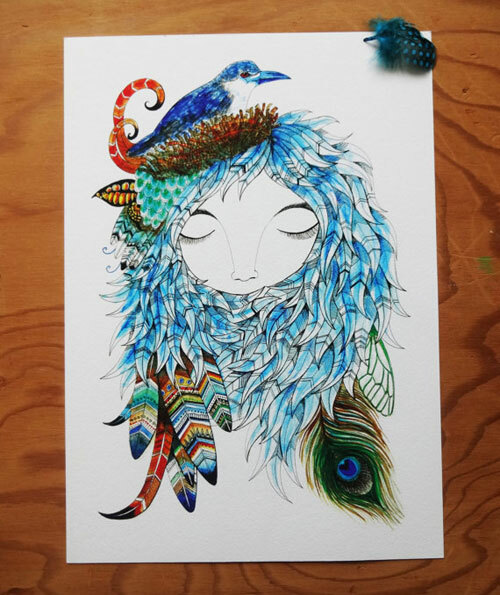 To take a peek at all the hard work and process behind the scene you can visit her on Instagram. 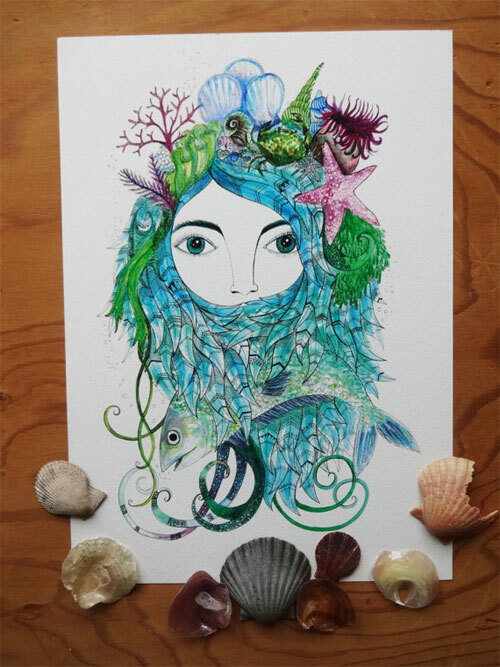 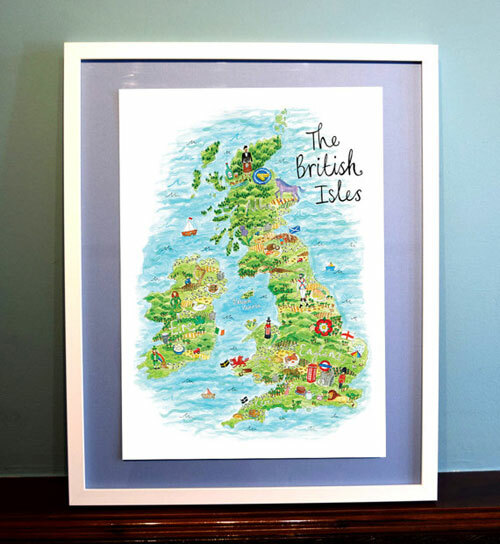 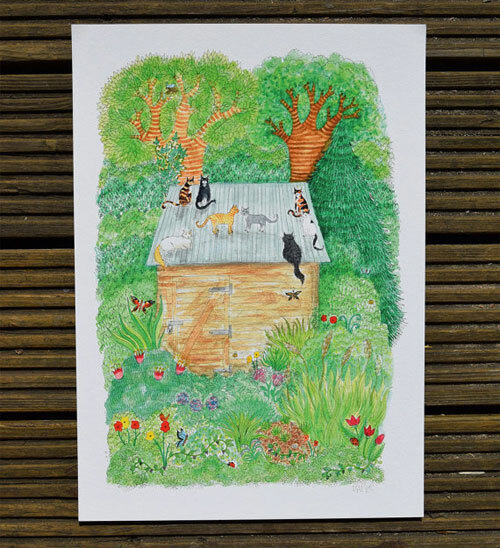 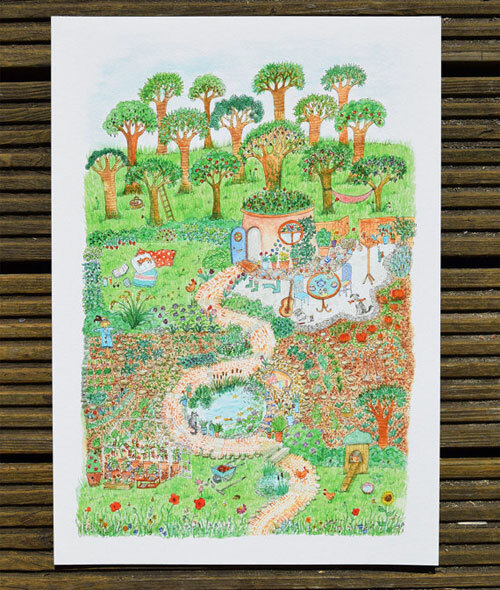 She also has an online store - The Bayou Botanist - where she sells the limited edition prints.